The value of a closely held business will change over time, based on a variety of different factors: sales volume, profitability, cash flow, strength of the management team, stability of the customer base, growth potential, and the overall condition of the industry, to name a few. But there are many reasons other than selling why you may need to conduct a business valuation, such as drafting a buy/sell agreement, going through a divorce, creating an ESOP, and dealing with taxation matters or stockholder disputes. Perhaps most importantly, the process of valuing your business will give you a better understanding of the main factors that help increase your company’s value. With this knowledge, you can then focus your time, energy and resources in these areas, rather than in areas that add little or no value to your company. The subject of value can get emotional when applied to a business. Not surprisingly, owners tend to assign a higher value to their companies than outsiders (especially buyers) do since they have spent countless hours as well as their own blood, sweat and tears building the company. Therefore, the best way to get a true handle on your company’s value is to have a professional business valuation performed by a trained business valuator. Before beginning the process of obtaining a business valuation, though, it’s a good idea to narrow down the specific purpose of the valuation. In other words, what are the specific circumstances surrounding the valuation, and for whom are you trying to determine the business’ value? This is important because there are several different methods (or standards of value) that can be used to value a business, depending on the situation and the goal of the valuation. A different standard of value will likely be used if a business is being valued for sale, for example, than if it’s being valued as part of a divorce settlement. 2. Investment Value — Often used in the case of a business sale, merger or acquisition, this standard determines the value of a business to a strategic buyer. It usually assumes that synergies exist between the buyer and the seller that would increase the business’ value to the specific buyer. If a business meets a buyer’s specific criteria for companies it might want to purchase — it manufactures complimentary products or occupies a unique niche in the marketplace, for example — it will have a higher value to that buyer. 4. Fair Value — Most commonly used in cases of dissenting stockholders’ disputes, this is often defined as “the value of shares immediately before the effectuation of the corporate action to which the dissenter objects.” Valuation discounts usually are not applied with this standard. 1. The market approach looks at the value of comparable companies. It’s similar to how real estate agents look at the value of comparable homes (or comps) when pricing a house for sale. 2. The asset approach looks at the book value of the company’s tangible assets. 3. The income approach considers cash flow, adjusted earnings capitalization, P/E multiples and similar measurements to try to project future earnings. There are many valid reasons why Los Angeles and Southern California business leaders and executives may want to have a business valuation performed on their companies. Care should be taken in choosing a professional business valuator to work with, though. Many valuators specialize in valuing certain kinds of businesses, so it makes sense to look for one that specializes in your industry. 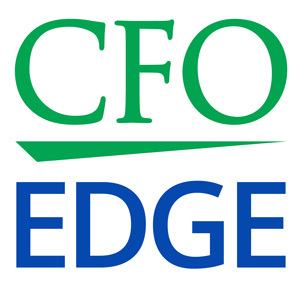 An outsourced CFO services provider can help you find the right business valuator for your company and situation.